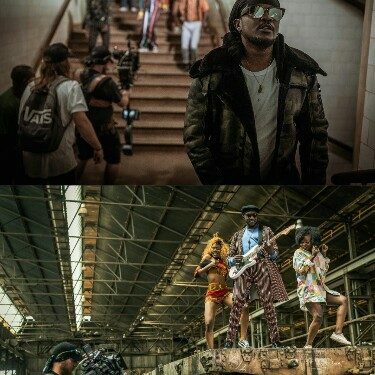 Sauti Sol is excited to release the 5th single off their Afrikan Sauce LP; SHORT & SWEET which features Nyashinski, the former one third of the hip hop group Kleptomaniax turned solo artiste with mega hit tunes like Bebi Bebi and Mungu Peke. Sauti Sol and Nyashinski performing Short N Sweet. (C) 2018 Sauti Sol Entertainment. #ShortNSweet is the fifth video off our collabo LP, #AfrikanSauce. Throughout the year, Africa’s Best Group will be releasing a song a month featuring various African artists. The Afrikan Sauce LP is the group’s first collabo project. The collaborative body of work features Africa’s best artists, with the compositions being a fusion of neo-pop vibes & rich African sounds that speak truth to love, life and Africa. Sauti Sol is Africa’s Best Group. The award-winning Kenyan afro-pop group are winners of several awards as the Best Group in Africa and have been nominated countless times. These include the MTV Africa Music Awards, MTV EMAs, BET Awards, Sound city MVP Awards and AFRIMA. Nyashinski, whose real name Nyamari Ongegu, is a Kenyan pop, hip-hop and R&B artiste. 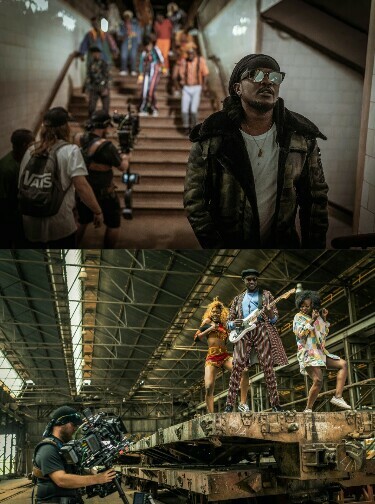 Nyashinski has so far released six (6) successful solo singles; Now You Know (May 2016) – which became the 1st ever video by a Kenyan rap artiste to hit 1 million YouTube views, Mungu Pekee (Oct 2016) which became the first ever Kenyan lyric video to hit 1 million YouTube views, Aminia and Malaika (a same-day double audio and video release May 2017), Hayawani, (Dec 2017) and Bebi Bebi (Feb 2018). He is set to release at least 2 more singles (with videos) by close of Q2 2018.